Some of the people like the cars to ferry in luxury, but other prefers adrenaline rush and the automotive equivalent of a punch to the face. 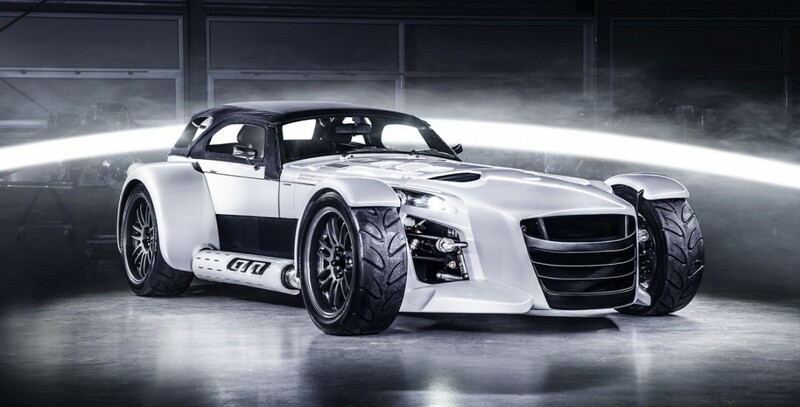 Dutch performance brand Donkervoort has unveiled a special edition of its D8 GTO sports car. Its not just a car, its a it’s blunt force trauma. It’s named after Germany’s Bilster Berg high speed race track, it’s a track Donkervoort holds record at. The Donkervoort D8 GTO blister berg edition honors the record breaking test car that set the fastest track times at the German bilster berg circuit in 2014. The unique location of the Donkervoort’s arm provides the necessary opportunity in order to make a legendary car which set the record breaking lap time for a production car of 1:46.12. With the little refinement new D8 GTO takes it to the next level. The company has refined road handling, grip, chassis, and also and shaved 10kg of the engine weight. It’s a special edition car and limited to just 14 models. It’s a light weight and high performance car. The new special edition car is easily recognizable because of it’s nose at the front end. The D8 GTO Bilster Berg Edition interior changes are limited, but the vehicle is equipped with advance digital instrument cluster, a data logger and GPS navigation and a dashboard plaque. The car is made from ultra light carpet, 22 pounds lighter with the use of carbon fiber seats and special leather which helps it shed extra weight. It wears semi-slick Hankook tires. In order to equip new cars with latest features company has provided new shock absorber which is developed in collaboration with Intrax, also an additional roll cage was constructed to to offer greater torsion stiffness. Under the hood the new D8 GTO Bilster Berg Edition features the same specification, as the car that set the record lap time. The car is powered by an Audi 2.5L R5 TFSI engine that kicks out 380 bhp and the car weighs only 685 kg, which makes its even more powerful. According to the company it can accelerates from 0-100 kmph in around 2.8 seconds with a top speed in the region of 270 kmph. Indeed, it is a super car with pricing starts at 194,000 euros, which is roughly 14.3 Cr. New Tata Sumo Grande to be called Movus !